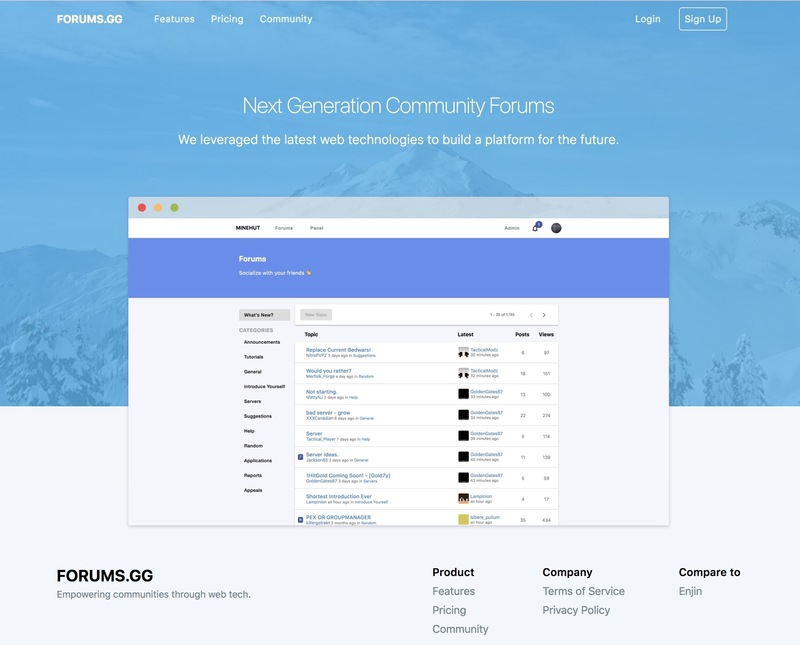 I spent the past few days working on a redesign of the main forums.gg homepage. I think the new site better captures the ideas I have in mind for the project. This change also removes the free tier to Forums.gg. If you have already made a site for free, congrats; your site will unlock all features and be free forever. TYSM Luke, I'm so glad all premade ones are free, and do we also have pro? Yes, you get all of the pro features. "Pro" no longer exists, it's all bundled into the single plan now. And I love the new website. Idk how u code so well. Looks so much more cleaner, loving the update. What do you mean by This change also removes the free tier to Forums.gg.? It now costs $7 to create a community. Just a little suggestion for the next update, you should add pre-made modules for those who can't code for custom pages. Also, to make the settings page look cleaner maybe add some css to the add file buttons. This is cool, but when I try to change my custom domain, it works now, but it still makes me have to use the "forums.gg" part. And when I search the domain it says that the website doesn't exist.